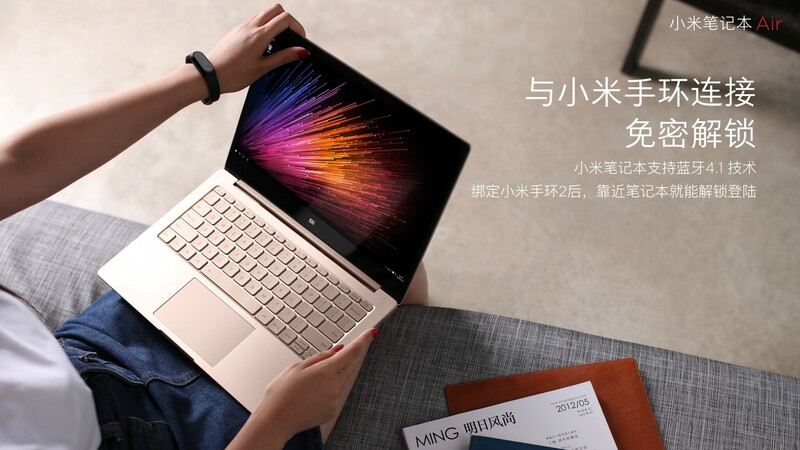 In typical Xiaomi fashion, the company made a surprise announcement of their Mi Notebook Air line of laptops alongside their Redmi Pro smartphone. The laptops have been aimed directly at Apple’s Macbook Air lineup and bring compelling features at crazy prices (typical Xiaomi). There are two variations of the Mi Notebook Air: the portable (relatively) 12.5 inch model and the more powerful 13.3 inch model. Let’s get the common specifications out of the way first. Both devices have 1080p displays with very thin bezels hidden under the glass and 1MP webcams which in theory should be far better than the 480p ones found on Apple’s Macbook (any laptop in the modern era that costs more than $1000 should be ostracized if it doesn’t even have a decent HD webcam). Both run off of Windows 10, have backlit keyboards and have the unique ability to be unlocked using Xiaomi’s Mi Band 2. Design was an element of focus for Xiaomi and it is evident in the appearance of the minimal aluminium body of the laptops. To keep things clean, Xiaomi hasn’t even put a logo on the exterior (the Mi logo rests on the bottom of the display). The smaller 12.5 inch model comes with an Intel Core M3 processor, 4GB RAM, a 128GB SSD via SATA, a single USB 3.0 port, a USB Type C port and an HDMI port. The battery is stated to last 11.5 hours. This model by the way is only 12.9mm thin and weighs only 1.07kg. The larger 13.3 inch model features more powerful internals including a discrete GPU. The CPU is an Intel Skylake Core i5 6200-U processor clocked at 2.3GHz (turbo up to 2.6GHz) and the GPU is an NVIDIA GeForce 940MX (with 1GB DDR5 RAM). The larger model also comes with double the RAM and storage (8GB DDR4 and 256GB SSD via PCIe) and a battery that is supposed to last 9.5 hours. It is 14.18mm thick and weighs 1.28kg and in terms of I/O, has an extra USB 3.0 port. Both these laptops look spectacular and are priced very competitively – the 12.5 inch model will cost $520 and the 13.3 inch model will cost $750. Both devices will be available on August 2nd in China for now and will be available in gold and silver colors.